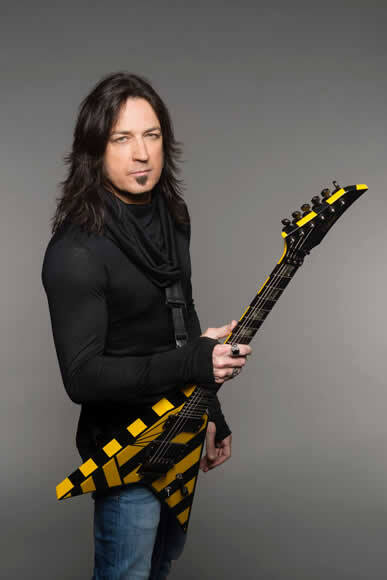 Michael Sweet joins us to talk about 35 years of Stryper, a new record and world tour, forming one of the great twin guitar teams with co-guitarist Oz Fox, his new Signature Washburn guitars, how he crafted the iconic Stryper guitar tone back in the 80s (and how he does it now), getting banned by Walmart and more. Based in LA since 1981, Terry Wollman has forged a career spanning over 35 years as an in demand guitarist, music director, producer and composer. He has worked with an amazing array of artists including Al Jarreau, Michael McDonald, Billy Preston, Wilson Phillips, Joan Baez, Joe Walsh, Keb' Mo and Joe Sample. For many of us, John Norum introduced himself through the epic solo on Europe's world wide smash The Final Countdown. That solo - equal parts blazing arpeggios and blues chops - characterised John's style which has graced most of Europe's 25 million album sales. Michael Ibrahim is the 'MI' behind MI Audio, the Australian pedal and amp company that has found success all around the world. Michael talks us through the inception of MI, starting with the iconic chrome Tube Zone inspired by the multi-dimensional drive tones of Allan Holdsworth.